The Sensex reached a record 37,061 level, surpassing its all time high of 36,902 hit on July 24. The Nifty breached its previous record high of 11,171 level reached on January 29 earlier this year. The Sensex and Nifty extended their record rally for the fourth straight session and touched their lifetime highs in early trade today. While the Sensex crossed the 37,000 mark for the first time ever, the Nifty hit 11,185 level, setting a new record for the index. 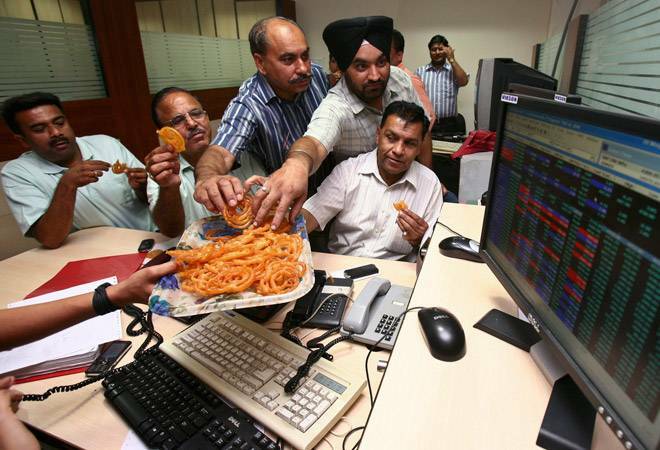 The Sensex reached a record 37,061 level, surpassing its all time high of 36,902 hit on July 24. The Nifty breached its previous record high of 11,171 level reached on January 29 earlier this year. The Sensex has clocked 676-points gain in the last four sessions of trade (taking into account today's intra day high of 37,061 level). Later, the Sensex closed 126 points higher at 36,984 level. The Nifty too rose 35 points to 11,167, a record closing high level. We look at why Sensex, Nifty hit their lifetime highs today. Domestic institutional investors (DIIs) played a key role in setting record rally for indices. DIIs have poured Rs 6,398 crore into the Indian market since the beginning of this month. During the last 17 trading sessions, DIIs withdrew just Rs 418 crore in three sessions. FIIs who have been net sellers in Indian equities since April 2018 sold equities worth Rs 6,298.54 crore this month. With just four trading sessions to go in July, the amount is far lower than Rs 9,620.56 crore, Rs 12,359.71 crore and Rs 10,249.17 crore withdrawn in April, May and June this year, respectively. Since July 20, FIIs have pumped Rs 673.98 crore in three consecutive sessions. Apart from buying seen in these three trading sessions, there are just two sessions (July 18: Rs 95.68 crore and July 11, 2018: Rs 636.27 crore) when FIIs poured money into the Indian market this month. The constant FII inflows into the market boosted sentiment on the street. The Q1 earnings show by India Inc has been led by better performance by firms in FMCG and information technology sectors which have logged double digit growth in net sales and net profit. Earnings of banking and finance companies too logged double-digit growth, which have improved sentiment on the street. Banking stocks led the gains with the BSE bankex rising 1.61% or 484.44 points intra day to 30,480 level. BSE Bankex was the top gainer among sectoral indices. The index closed 1.43% or 429 points higher at 30,426 level. The index is up 5.44% since the beginning of this year and 8.10% during the last one year. Bank Nifty too rose 424 points intra day to 27,455 level. The index is up 7.31% since the beginning of this year and 10.20% during the last one year. The index finally settled at 27,406 level a gain of 375 points. The Indian rupee opened higher by 7 paise at 68.71 per dollar today compared to previous close of 68.78. Yesterday, the currency closed at fresh one-week high of 68.79 or a rise of 15 paise against the US dollar on bouts of greenback selling by exporters and corporates. The rise in rupee led to positive sentiments on the street. Hong Kong's Hang Seng was up 0.56 per cent, Japan's Nikkei gained 0.02 per cent in early trade. Shanghai Composite Index, however, shed 0.01 per cent. The US Dow Jones Industrial Average ended 0.68 per cent higher yesterday.